Adding whole wheat flour to your diet is a serious decision which you can afford to enhance and assure overall wellness of physical, mental health and beauty. It also provides essential energies for the body to function efficiently. Researchers at the University of Maryland Medical Centre proved that Vitamin E & B present in whole wheat flour aids in the prevention of diseases that cause a mental decline like Alzheimer and other disorders. An experiment revealed that men who ate more servings of whole wheat breakfast faced very less risk of hypertension and stress. And another survey has declared that women who ate three servings of whole wheat bread were 30% less at the risk of contracting heart disease or dying of a heart attack as compared to those who ate less whole wheat products per week. • World’s most favorable staple food. • India is the 2nd largest producer of wheat. • 85-90 million metric tons of wheat is produced every year. • India produces 12.05% of the total world wheat production. • 40-45 MMT of wheat is ground to produce whole wheat flour known as Atta. Ata flour dominates the market of the country by branded Atta manufacturers with the rise of health awareness. A leading source of vegetable protein which is higher than other cereals such as maize, corn or rice. When eaten as the whole grain, wheat becomes a healthy source of multiple nutrients and dietary fibers essential for children and adults in several daily servings amounting to about one-third of total intake. Proven as the most beneficial food for a healthy living by researchers, and such benefits depend on the form of intake. Whole wheat flour is produced by stone grinding of whole kernels containing high minerals and vitamins which helps in regulation of the blood glucose levels in diabetic patients and lowers risks of heart diseases owing to its comparatively low-fat content. What, how, where to buy? 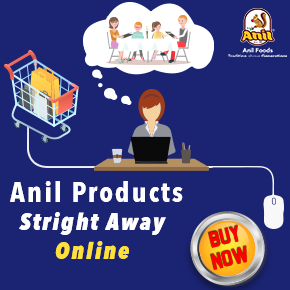 Best quality of Atta and whole wheat flour from the leading FMCG brands in the traditional and healthy food sector are available in the market at all leading supermarkets and in online for an affordable price with extraordinary values, which can be delivered at your doorstep. 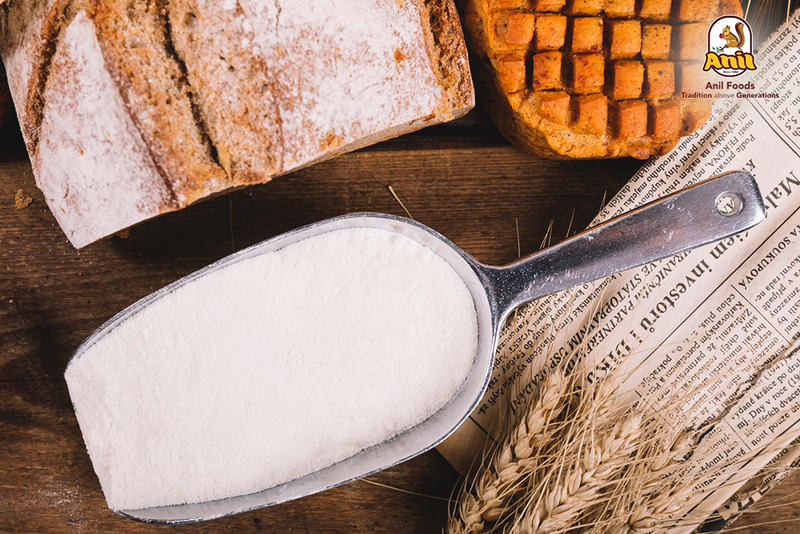 Wheat flour can be often adulterated with pebble straw, dust, and weed and damaged grains, visual examination and help you distinguish between pure and adulterated flour qualities by color, texture, taste, and aroma. The Sensory and textural quality evaluation of chapatti/roti made from whole wheat flour in the quality point of view must have the desired characteristics like color, brown spots, pliability, sheer value, tearing resistance, chewiness, mouthfeel, baked and cereal aroma and softness. Sprinkle some flour in a glass of water and check whether the barn is floating on top. Check for the presence of chalk powder by adding some dilute hydrochloric acid to the flour in a test tube and look for effervescence. Check the color texture and taste and softness. Whole wheat flour is considered as the best of detox diet, which cleanse the blood and eliminates harmful toxins which are responsible for a variety of symptoms like a headache, bloating, joint pain, fatigue, and depression out of the system. Consumption of whole wheat helps in treating constipation, the presence of fiber in the grain detoxifies the system and helps in maintaining a healthy colon and intestine. According to a research conducted regular consumption of wheat has reduced 41% of breast cancer. Eating 30grams of wheat a day is enough for women to reduce the risk of breast cancer and this fiber-rich diet acts as a safeguard for pre-menopausal women against breast cancer. The presence of vitamin B and E in whole wheat flour is responsible for energy production, and maintaining a healthy DNA. Vitamin E is a promising essential for treating and preventing cognitive decline and memory-related diseases and enhance nerve function, Vitamin B is water soluble vitamins which means the body cannot store them which demands daily supply that can heal inflammatory regulations in the brain and subclinical mental illness. High fiber breakfast can reduce the risk of chronic strokes, eating wheat flakes with yogurt can aid in preventing strokes. The presence of Vitamin B in whole wheat eases the PMS symptoms, Magnesium content heals and relives from anxiety and pain caused by PMS symptoms. Various studies have been conducted on the positive effects of wheat germ compounds (vitamin B6 and E, Calcium & essential acids) on reducing PMS symptoms. Eating wheat is not directly connected with losing weight but studies indicate that it helps to cut down the amount of body fat and leads to healthier fat distribution. Whole wheat flour consumption helps in preventing belly fat or central adiposity and prevents diabetes. The antibacterial properties help in reducing the adverse effects of the digestive tract and Improves intestinal tract health. The fiber content aids in digestion and elimination of waste. The consumption of whole wheat foods improves metabolism and prevents weight gain, gives a fuller feel by the fiber and helps in losing weight. The zinc in wheat has the ability to give a lustrous hair, helps in nourishing hairs and keep it safe from the damages caused by the environment and other health-related factors. Studies support the fact that selenium in whole wheat can prevent and reduce the risk of skin cancer. Selenium offers wonderful effects to skin and acts as an anti-aging element, retains skin elasticity with a radiant skin, vitamin E and zinc protects the skin from sun damage and environmental factors.